A firefighting Texas cowboy? Whew! Now that’s some sizzling heat there. Now fan that flame with his high school sweetheart come home at last and a second chance? That I just could not pass up. 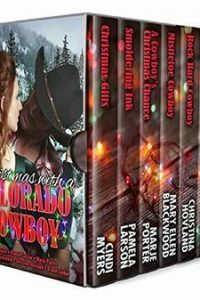 This was my first encounter with the author or her books and I was hoping to give Blazing Hot Cowboy some reader love. 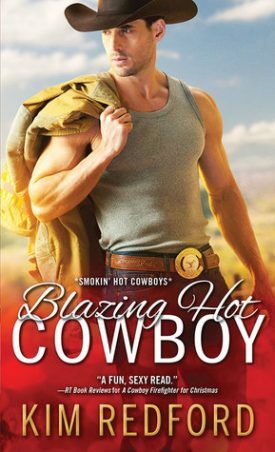 This was the second book in the Smoking Hot Cowboys series and yes, I grabbed it out of order (too mesmerized by the title and blurb to pay attention). Thankfully, I didn’t have trouble reading it standalone or out of order. Blazing Hot Cowboy opens with Lauren Sheridan’s return to Wildcat Bluff after many years away. A widow with a little girl and job cuts at the hospital to her physical therapy department leave her cut loose and now open to a return to her small childhood hometown. Nobody needs to know that her marriage was almost over when her husband died and now she is determined to not make another mistake with a man again simply by staying away from men. This is a new start for her and her little girl. Her resolve about men shatters almost immediately when she encounters high school sweetheart, Kent Duval, at the firehouse while looking for her Aunt Hetty. Kent works the family ranch and also the volunteer fire department in Wildcat Bluff. He enjoys his life just as it is though he would eventually like to have a family of his own. His one big attempt toward matrimony had him left by his bride at the altar when she left him for a bigger prize. He’s determined to be more cautious the next go around and that go around unexpectedly arrives in the form of his first love. They settle in right where they left off in many ways, but also have separate pasts that leave them both wary. Meanwhile, a firebug is on the loose and there is something going on with Lauren’s Aunt Hetty that has the whole town concerned. Alright, this book had some good stuff going for it and I was ready to love it. I enjoyed the small town folk, the author’s descriptive setting of north Texas ranch country and the history of the land and settlers. I even enjoyed much about the primary characters particularly Kent. I was amused by his old beat-up truck and his Mamie Eisenhower pink front door. The town cats and other town characters were also fun times. However, I could not fully connect with this story. I felt pulled in two directions and had some minor niggles. A small thing was that I felt that their early time together was forced. Lauren insists on heading out with each of his fire calls (first time it happened it worked for me, but after that, no). It doesn’t make sense for her to tagalong particularly when her part in the firefighting is ornamental and she’s not trained save a few basics from back in high school. It was odd to me that a fire is blazing away and they stand there with the others doing the ‘hey howzits and nicetomeetyous’ before getting around to the barn fire that could catch the dry brush and take out more property. The big thing was the rapidity of the relationship. I get that attraction would flare up right away, but I needed to see a longer time frame before the deeper and permanent feelings and decisions happened especially since they’d both been burned before. I saw a relationship relying on the distant past instead of what there was in the present. They are attached at the hips and doing the token “I really shouldn’t, but…” thing. And beyond that, her little girl was cute, but I also felt her presence just accentuated why the romance should have taken it slower even while the girl herself acted as an accelerate the way she latched onto Kent. So, this was okay. 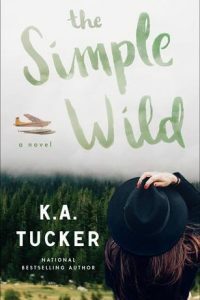 I want to take another go at the author’s books and see if a different situation will make the difference since I enjoyed the descriptions of the town and setting and somewhat about the characters. 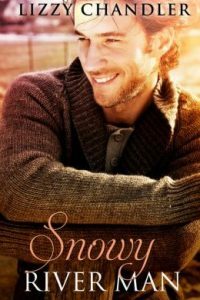 It might just be my tastes and expectations so I’m going to recommend it to others who enjoy smalltown and cowboy romance stories. 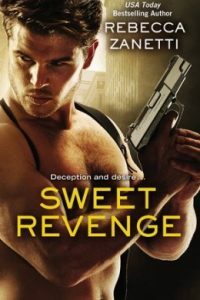 My thanks to Sourcebooks Casablanca for the opportunity to read the book in exchange for an honest review. Cowboy AND firefighter? It sounds like a great combination, though that’s a lot of hotness happening there. 😉 I’m sorry you didn’t really connect to the story and the romance! I feel like if I didn’t really get into the romance, the book would be a “miss” at that point. :/ It’s good that you found some redeeming qualities though. Oh yeah, the perfect storm of hotness was going on with that combo, Alyssa. I think I found the book acceptable even if that romance didn’t work b/c for the most part it was working until about the half-way point of the story. At that point, I just kept reading since I wasn’t mad just not interested if that makes sense. I just read another review for this book and she felt pretty much the same as you. I was disappointed because I was so excited about a cowboy firefighter story. Guess I wasn’t the only one, Mary. Haha what cowboy and firefighter in one? I’m intrigued! Glad it was a good read even though it didn’t blow you away. They were together less than a week and talking marriage and family. After that long apart and both having misgivings after bad break ups and stuff, I just couldn’t see it. Not a very believable romance is my core issue. I liked everything else, but yeah, not one I’d enthusiastically recommend, Melliane. 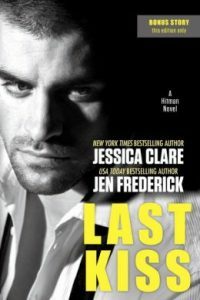 firefighters-check, cowboys-check, second chance romance-check!!! Its a winner!!! And a 3 star rating is not bad, its not great but doesn’t scare me away either. Thanks Sophia Rose Happy Friday, we’re having an ice storm today Yikes!!! Yep, you definitely hit the sweet stuff in this one. You’re right. It wasn’t awful. I didn’t hate it. My trouble was believing in the romance since it came together so fast. But I think if you know this going in that you would probably do alright and maybe enjoy it. Yuck! I saw that the middle of the country is really being frozen over. Stay safe, lady! It is hard when you don’t quite get that connection or things niggle like that. I do love a lot of the elements you mentioned and will be curious to see other books in the series. It is and I really was in a frame of mind to love the story, but right away little things started distracting and then finally I couldn’t ignore my issues with their rapid romance. I do have book one now and will try it to see if a different situation will make the difference for me. Yeah, not surprised. It was a nice little story, but as a romance it needed some time in my opinion. Love Carolyn’s books.